NOTE: Each reviewer will be scheduled for between 6 and 7 reviews in each block where their name appears. Click HERE to see a list of our reviewers. Click HERE to see reviewers listed by profession. Click HERE for a list of the companies / affiliations who will be represented at the PSPF Portfolio Review. New reviewers are scheduled right up until the event so check often and you’ll see additions. 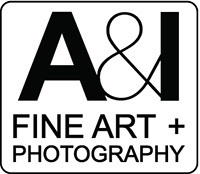 We will offer over 1200 reviews with many of the nation’s most influential photography professionals. Kraige Block BioKraige Block is the Gallery Director of Throckmorton Fine Art Gallery. Marianne Campbell BioMarianne Campbell is a photography agent with offices in San Francisco and New York City. Her company, Marianne Campbell Associates currently represents photographers Randal Ford, Shaun Fenn, Jamie Kripke, RJ Muna, Jim Salzano, Margaret Lampert, Matthew Turley and Annabelle Breakey. The diverse and talented group has worked most recently with clients such as Oakley, Audi, duPont, Starbucks, Pfizer, RAM Trucks, Phillips 66, Clorox, SAP, Asics, Verizon, Method, Purina and Target.Reviewer Preference: Open to seeing motion samples in addition to still photography. Suzanne Darmory BioSuzanne Darmory is President and Co-founder of the advertising agency hi, our name is, (http://hiournameis.com) an experienced, results-driven, nimble, lovable, small creative agency based in New York City. She has 25 years of international, award-winning experience creating groundbreaking integrated advertising and marketing solutions for Fortune 500 clients. She was recognized by Refinery29 as one of the 29 most powerful women in digital, featured on the “Where Are the Boss Ladies?” list, and will be published in Miami Ad School’s upcoming book, “The First Chapter Project.” Suzanne spent most of her career at advertising agencies in New York (Arnold, Deutsch, Grey, JWT, Moxie, mcgarrybowen, Ogilvy, R/GA, Zeta) and in London (Bates UK, Euro RSCG, Imagination, Ogilvy & Mather). In addition to winning over 100 Advertising Awards, her work has been featured in: AdAge, Adweek, Brandweek, CBS, CNN, Communication Arts, engadget, Forbes, Good Morning America, Mashable, MTV, NBC, The New York Times, The Today Show and PR Newswire. She is an active judge, portfolio reviewer, panelist, speaker, mentor, and an ongoing adjunct professor at FIT. Maya Robinson BioMaya Robinson is the Digital Art Director, Photography & Visuals , for New York Magazine. Reviewer Preference: Interested in studio and environmental portraiture and photojournalism. Kenneth Zane BioKenneth Zane is a Senior Photo Producer at the GAP & Old Navy. Before this, he was a Sr.Producer at Leo Burnett advertising agency in Chicago. Ken began his career in New York as an Art Buyer for Palio Communications, followed by work for DRAFTFCB, and Digitas. Some of his many accounts have included: Motorola, MilkPep, GSK, Pfizer , Astra Zeneca, KMART, SC Johnson, Hampton Inn, Nestle, Kraft, Boeing, Dow, UCB, and Olay—running the gamut from consumer to health care. Currently he is working with such clients as Coca-Cola, McDonalds, Miller-Coors,3M and P & G. Zane has cultivated turning this diverse experience into indispensable assets. Passionate about photography and art since childhood, he loves and thrives on the visual discovery of both new and seasoned talent. Reviewer Preference: Open to seeing motion samples in addition to still photography. Katie Buntsma BioKatie Buntsma is an art producer at Team One advertising agency for the past 3 years. Before that she was a graphic designer with Patina Restaurant Group. She graduated from with honors The Art Center College of Design. At Team One she works with clients including Lexus, 2K video games, EA video games, Ritz-Carlton, Dacor, Me & The Bees, PIMCO and more. In her free time, she collaborates with her friends on Poni, a creative crafting/events company. Anna Dickson BioAnna is currently Visual lead for the Content and Community team at Google, focusing mainly on food and travel photography. Prior to Google, Anna was Photo Director at Huffington Post and Deputy Photography at The Wall Street Journal. She also worked on several print publications, including Rolling Stone and Popular Photography. Reviewer Preference: Food and Travel photography. Open to seeing motion samples in addition to still photography. Scott Nichols BioScott Nichols is the Director of The Scott Nichols Gallery located in downtown San Francisco. The gallery shows a combination of established, up and coming and contemporary photographers. Nichols, a Southern California native, has been a private dealer since 1980. He is considered one of the experts on Group f/64 and Brett Weston. The gallery opened in 1992 and houses one of the largest private collections of Brett Weston photographs as well as an extensive inventory of photographs by classic California photographers such as Ansel Adams, Edward Weston, Dorothea Lange, Imogen Cunningham, Ruth Bernhard, Wynn Bullock, and William Garnett. Marta Hallett BioMarta Hallett Is the President & CEO of Glitterati, Inc. a New York-based publisher of fine photography books. Before founding Glitterati, she was the Director of Rizzoli Publishing in the US. Ann Jastrab BioAnn M. Jastrab is currently the gallery director at RayKo Photo Center located in the SOMA arts district in San Francisco near SFMOMA and the Yerba Buena Arts Center. RayKo is a comprehensive photographic facility with studio and galleries that has been serving the San Francisco Bay Area for over 20 years. RayKo Gallery serves to advance public appreciation of photography and create opportunities for regional, national and international artists to create and present their work. RayKo Gallery offers over 1600 square feet of exhibition space and presents eight to ten exhibitions yearly with many nationally recognized artists; there is also a section of the gallery called The Marketplace that is reserved for Bay Area artists and displays a wide variety of photographic work. RayKo also has a thriving artist-in-residence program. Ann has curated many exhibitions for RayKo as well as juried exhibitions for the San Francisco Arts Commission, the Academy of Art in San Francisco, Artspan, SFAI, the Center for Fine Art Photography, and other national and international venues outside of San Francisco. Ann is always looking for new artists for the gallery, both for solo shows and group shows. She is most interested in seeing documentary projects, fine art photography, alternative processes/historical process work, and also work made with traditional film cameras as well as plastic and pinhole cameras. Ann is not interested in seeing work that is obviously digitally manipulated. Ann can offer exhibition as well as resident artist possibilities. Chelsea Kyle BioChelsea Kyle is currently a photo editor at Conde Nast working for the Food Innovation Group including Epicurious.com and Bon Appétit. She has a background in Advertising, Architecture, and Editorial photography as well as professional photo retouching. Reviewer Preference: Interested in food, travel and lifestyle. Open to seeing motion video. Sarah Laird BioSarah Laird is the founder and principal at Sarah Laird + Good Company, a photographers agency representing top creative talent in fashion, lifestyle, beauty, portraiture, still life and motion. Over 20 years strong, and with offices in New York and London, Sarah has a roster of photographers, motion directors, creative & art directors, illustrators, set designers, glam artists and stylists known for it's international perspective and limitless energy, passion and dedication. Sarah’s exceptional and knowledgeable perspective and client-relations style make her a go-to resource for advertising agencies, retailers, brands and publications from around the world. Reviewer Preference: Open to seeing motion samples in addition to still photography. Frank Meo BioFounder of thephotocloser.com, Frank advises and consulates with photographers from around the globe. His services include estimating and negotiating of behalf of photographers to ad agencies. For 25 years, Frank has represented photographers that include Pulitzer Prize winning photojournalists in securing highly valued commercial assignments. He has worked on hundreds of company photo libraries and campaigns for clients such as American Express, Acura Motor Sports, US Coast Guard Xerox, ESPN, Citi, Nike and others. Anthony Bannon BioDr. Anthony Bannon is a writer and a consultant in photography. His four books last year will add to his select listing of 41 publications in 5 languages held by nearly 1,000 libraries cited in the World Cat Database of the On-Line Contemporary Library Center. His articles and reviews total more than 5,000. Bannon's meetings with PSPF photographers during the past 10 years have resulted in catalogs, artist residencies, exhibitions and collection placements. When he stepped down as director of Burchfield Penney Art Center at SUNY Buffalo, the director of the NYState Museum praised him as "among the most enlightened, prolific and important museum directors in the nation." When he was declared emeritus director at George Eastman Museum, "La Lettre de la Photographie" wrote "Bannon is an idea man of the first order." For example, his exhibition of Roger Ballen's work was selected by the Lucie Awards as one of the top five international shows of the year. Dr. Bannon's many awards includes an appointment as a critic medalist of the Royal Photographic Society of Great Britain and, most recently, the "Photo Review" Award for Service to the Field of Photography. His new books are "William Coupon's Portraits," "Traces," with Roman Loranc and "True to the Eyes" with Paul Roth and Brian Wallis about the Howard and Carole Tanenbaum Collection in Canada. Reviewer Preference: He is eager to see work with any style, including motion pictures. Ellee Bokharachi BioEllee Bokharachi is Associate Director & Art Critic at Tilt Gallery in Scottsdale, Arizona. She is also an independent curator, educator, and exhibition reviewer. Bokharachi holds a Masters of Art in Art History from Arizona State University. Bokharachi is the board member of Contemporary Forum at Phoenix Art Museum as well as Scottsdale Galleries Association to develop artistic and educational programs. She works one-on-one with artists to help them with their portfolios and consult them on how to develop their ideas and how to approach galleries to show their artwork. Bokharachi has been invited to speak at several educational institutions and has received research, travel, special talent, and exhibition funds. Bokharachi has been named as one of the shapers of future by The Huffington Post in March 2017. Angelika Hala BioAngelika Hala is the New York photo editor and producer for the German magazine stern and the magazine group’s publications VIEW and CRIME, and special editions and book projects. For more than 15 years, she has produced photo features with award-winning photographers as well as helped develop new talent. Angelika enjoys the process of creating photographic narratives in close cooperation with the photographer from single images to multi-page magazine spreads. Angelika is co-producer of Open Show New York. Reviewer Preference: photojournalism/reportage, environmental portraiture, travel features; love to look at personal projects. Please no still life and catalogue photography. Suzee Barrabee BioSuzee is a design director at Facebook. She spent the majority of her career at Goodby Silverstein & Partners. There, she worked on every major brand that passed through the agency doors – Polaroid, Adobe, Elizabeth Arden Fragrances, Nike, NBA, Saturn, Comcast, Princess Cruise Line and Chevrolet – to name a few. She is now a freelance Art and Print Producer and has been fortunate to work at Facebook, Salesforce, Heat, Gyro, Camp + King, BSSP and GS&P. Skye Houghton BioSkye Houghton started her career in Sydney Australia where she learned the ropes representing and producing for advertising photographers directly. 4 years later she switched sides to work as an art buyer for Saatchi Australia, before moving her life to SaatchiLA in late 2015. Robert Morton BioRobert Morton has worked in the world of book publishing for more than four decades for such publishers as Bantam, Time Life and over 25 years at Harry Abrams as Director of Special Projects. Currently, Morton works as an editor, agent, and consultant for photographers and artists seeking publication in books. In addition to helping to prepare presentations for consideration by publishers (selecting and sequencing photographs, deciding upon forms of presenting work, discussing desired formats and printing methods), Morton works with the artist and publisher to find and enlist authors for introductions and other texts. Reviewer Preference:Robert is interested mostly in seeing subject-based work of all kinds, especially book-worthy ideas, rather than abstract images or work of purely personal expression. Susan Nalband BioSusan Nalband is the Director of 555 Gallery in Boston, specializing in bringing the work of a growing number of emerging and established fine art photographers to collectors and buyers in Boston and internationally. In 2017, to develop a better focus for 555 Gallery, it became an exclusively online entity with a robust buying area and a relationship with Artsy.net. Today 555 Gallery is dedicated to bringing artists and collectors together through its attractive and user friendly website, art fair participation, and intimate solo exhibitions personalized for the artists, their clients and gallery clients. Consultation on developing artist’s books is offered. Paris Chong BioParis Chong is Manager and Curator of the Leica Gallery Los Angeles. Opened in 2013, The Leica Gallery Los Angeles was created to celebrate Leica photography. The Gallery provides unparalleled access to a rotation of curated exhibits, with imagery captured by classic and contemporary Leica photographers. Chong has over seventeen years of experience in curating, managing, and promoting fine art galleries and has represented galleries and artists in events such as: Photo LA, Photo SF, Paris Photo, Paris Photo LA and The Palm Springs Photo Festival as well as representing Leica Gallery Los Angeles at Art Basel Miami and Photo Paris, France. She has curated photography exhibitions for myriad artists from Bruce Gilden to Ralph Gibson, Melanie Pullen to Lenny Kravitz. Chong serves as guest curator for the ASC (American Society of Cinematographers). Sonja Gill BioSonja Gill is a freelance photo editor for Us Weekly Magazine. Sonja produces photography for the magazine including fashion, beauty, portraits, still life and food shoots. Prior to this position, she was an associate photo editor at Rolling Stone for several years. Reviewer PreferenceSonja is interested in seeing editorial, lifestyle, food, still life photographers. .
Chris Pichler BioChris Pichler founded Nazraeli Press in 1988, and has published some 500 books on the fine and applied arts to date, with an emphasis on contemporary photography. The press currently publishes 20 to 30 books each year. The books are distributed throughout the world. In 2007, Pichler received the Lifetime Achievement Award from the Center for Photographic Arts in Carmel, California. In 2011, he was awarded the International Award from the Photographic Society of Japan. In 2014, Stanford University Art & Architecture Library acquired the complete archives of Nazraeli Press. Dana Salvo BioDana Salvo is the owner of Clark Gallery. Clark Gallery exhibits contemporary art in all media by emerging, mid-career and established artists from the Northeast and nationally. Pat Bates BioPat Bates is the owner and founder of Pat Bates & Associates: a New York-based artist representative agency with a laser focus on the interiors and lifestyle sectors. The agency is known for its forward thinking, curated roster of internationally-based stylists, photographers and directors whose work is commissioned by retailers, advertisers, brands, and other media outlets in the US and worldwide. The agency as a whole seeks to bring a deep understanding of the differing viewpoints and facets of “how we live,” offering clients a sophisticated and worldly aesthetic delivered with care and attention. Gabriel Sanchez BioGabriel H. Sanchez the Photo Essay Editor at BuzzFeed and BuzzFeed News. He holds an undergraduate degree in photo-communications and a graduate degree in photography from Parsons The New School for Design. In his spare time, he's a contributing writer on photography for Artforum.com, Aperture.com, and Artslant.com, as well as a NYC-based curator of fine art. Susan White BioSusan White was the Director of Photography at Vanity Fair Magazine for many years and is now a private consultant for photographers. Ron Beinner BioRon Beinner has been a Contributing Photography Producer at Vanity Fair magazine since 1998. Reviewer Preference: Open to seeing motion samples in addition to still photography. Barbara Griffin BioBarbara Griffin is an independent Creative Director, Producer and Photo Editor. She was recently named President Emerita after 8 years of leadership at Atlanta Celebrates Photography (ACP), a non-profit arts organization which produces the largest annual community-oriented photo festival in the U.S. Formerly, senior vice president of Image Management for Turner Broadcasting System, Inc., Barbara was responsible for all photography created globally for Turner's entertainment, animation and news networks. An educator and frequent speaker on professional photography, she’s a member of the International Center of Photography, APA, ASMP and the Academy of Motion Picture Arts & Sciences. Maria Lokke BioMaria Lokke is a Senior Photo Editor at WIRED. Previously, she has worked as a photo editor for The New Yorker and MSNBC. She currently lives in San Francisco. Reviewer Preference: Maria is open to view motion video, but is primarily interested in still photography. Alice Sachs Zimet BioAlice Sachs Zimet is a collector, educator, and advisor who began collecting photography in 1985. Her collection of roughly 300 images includes 20th Century masters up through the present. Alice is Chair, Photography Collections Committee, Harvard Art Museums; board member, Magnum Foundation; and a member of ICP’s Acquisitions Committee. She teaches classes for collectors and photographers about the "Photography Marketplace" at schools, museums and festivals across the United States. She also consults with collectors on acquisitions and with photographers on how to get their work out into the marketplace. Alice was Director, Worldwide Cultural Affairs, The Chase Manhattan Bank for over two decades and now is President, Arts + Business Partners, a consulting boutique that specializes in corporate sponsorship. Reviewer Preference: As a collector, please do not pitch. As a marketing professional, interested in your communication tools. Laura Sackett BioLaura Sackett is Creative Director and partner in LensCulture, one of the leading online destinations committed to discovering and promoting the best in the contemporary photography. Laura has lead all aspects of design including brand, website, print, communications, festival screenings and print exhibitions. Besides leading the creative direction for LensCulture, she also co-curates the online galleries. Jane Brown BioJane Brown has worked in book publishing for 30 years; she’s played a role in the publishing and marketing of hundreds of books. Since 2002 she’s been Sales Director for the New York based publisher and distributor D.A.P. (Distributed Art Publishers). She edited the photography book, Both Sides of Sunset: Photographing Los Angeles (Metropolis Books, 2015) and co-edited Looking at Los Angeles (Metropolis Books, 2006). Prior to D.A.P. Jane has worked for Harry N. Abrams, and the consortium: Harvard University Press, MIT Press, and Yale University Press. Jessica Manning BioJessica Manning is a Senior Art Producer at DigitasLBi. She has been working in the Advertising Industry for 12 years. She is an experienced producer working with photographers, agencies, artists and clients direct. Always seeking artists who are exceptional story tellers, embrace new media and have an eye for gorgeous, thought provoking visuals. Elise McHugh Bio Elise McHugh is the humanities acquisition editor at the University of New Mexico Press. Her acquisition fields include photography, photography criticism, and photography history, as well as fiction, poetry, memoir, literary and popular culture studies/criticism, art, and architecture. Her experience in publishing includes ten years at UNM Press and eight years at West End Press, as well as literary and scholarly journals. The University of New Mexico Press publishes several books of art, architecture, and photography each year. Elise and the Press are interested in both fine art portrait and landscape photography and social documentary photography, particularly work that focuses on the U.S. West and the U.S.-Mexico Border.